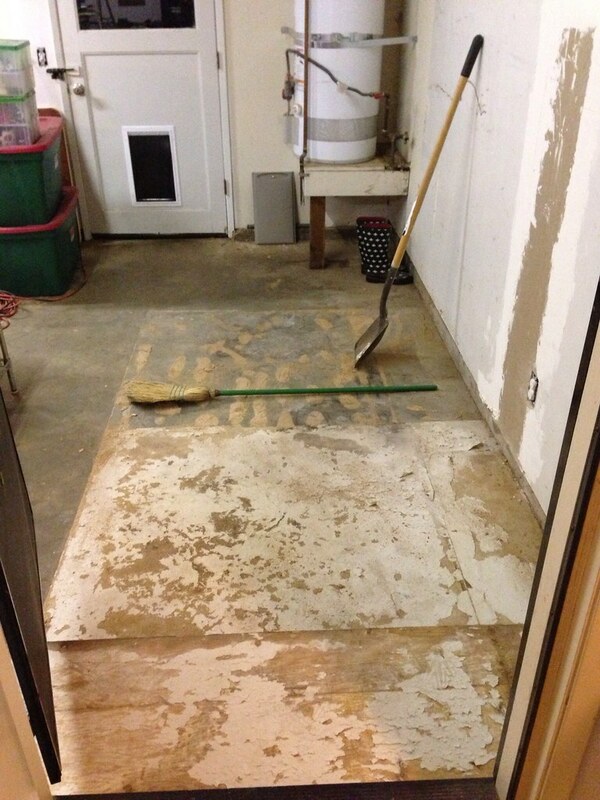 Tonight I came home to find the variety patch of linoleum in the garage ripped out. 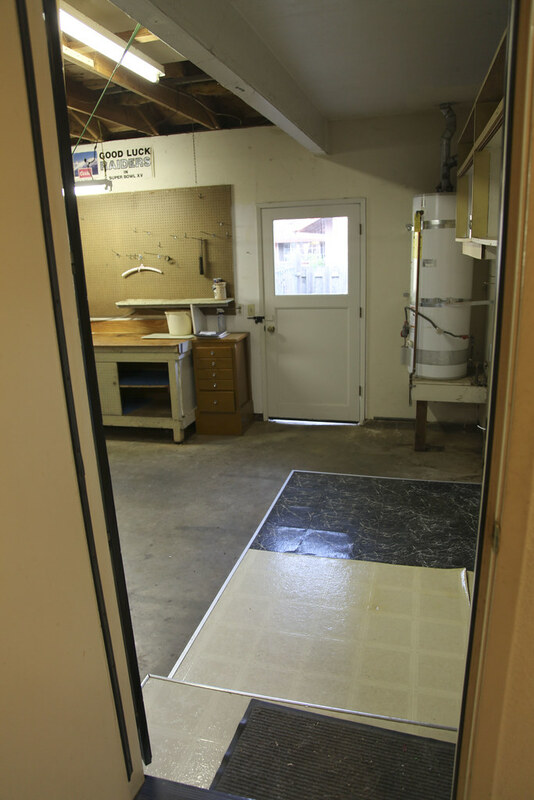 Before, it appeared that any left over linoleum used in the kitchen and laundry room was used here. It won’t look like that for long as Joshua continues cleaning it up tomorrow and into the weekend.